VidaHost is a UK-based Web host that offers a wide range of features to accommodate is large customer base. There are a variety of hosting plans that you can choose from, and said plans can be very affordable if you take advantage of the amazing great you get for paying in advance. While there are some drawbacks to their cheaper plans, there is a lot to like about VidaHost. 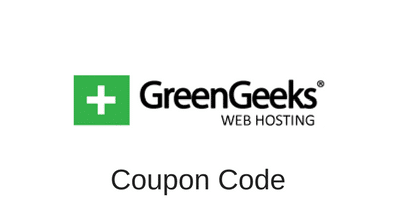 If you’re looking for UK web hosting, read this review to see if VidaHost is a good match for your web hosting needs. 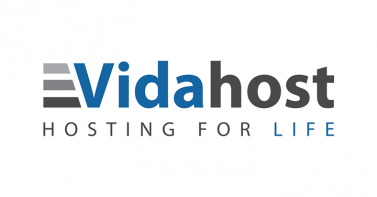 VidaHost offers five different plans which allow them to serve a wider range of clients. The Basic package is for people who are just starting out, or those that need just a small amount of memory and bandwidth. You get 500MB of space and 5GB of bandwidth. The Basic package starts at £17 per year. The Starter package is for those that have a few small websites. You get 2GB of disk space and 25GB of bandwidth. The Starter package starts at £29 per year. The Medium package is able to host a good number of small to medium websites because you get 10GB of space and 50GB of bandwidth. The Medium package starts at £59 per year. The Advanced package gives you 20GB of space and 100GB of bandwidth. The Advanced package starts at £99 per year. The last plan is the Business+ package. This package is meant for large businesses. You get 30GB of space and 500GB of bandwidth. The Business+ package starts at £499 per year. VidaHost limits the number of domains that you can host based on your package. The Basic package allows you to host one domain. The Starter package can host six domains, but it would be best if all of them were smaller websites due to the bandwidth. The Medium package enables you to host 16 domains. The Advanced package can host up to 21 domains, and you should have a good amount of disk space and bandwidth for each domain. The Business+ package enables you to host 100 domains. The disk space is a little low for this many domains, but you should have enough bandwidth for all of them. Having your own private server makes it much easier to host your website. You get the exclusive use of the server’s resources, and you don’t need to worry about other websites hogging the bandwidth and disk space. If you want your own private server, then you need to buy the Business+ plan. The other packages are good, but your domains will be placed on a shared server. One other option is to opt for VidaHost Scalable UK Cloud Hosting which starts at £9.99 per month. It offers 20GB of disk space and 200GB of data transfer and lets you host up to 25 separate site. It takes advantages of the Cloud hosting technology through a network of UK web servers. You can scale the amount of disk space, data transfer and hosted websites as needed. For a more robust option, you can go for one of VidaHost virtual dedicated servers and dedicated servers. It’s a little pricier, starting at £34 month, but offers a stronger, more complex and configurable hosting environment. For more information about VidaHost dedicated server options, visit their website at VidaHost.com. You get a number of email features with VidaHost. These features are available with all of the hosting plans. You get access to SMTP, POP and IMAP inboxes. You also get SSL access to your email. VidaHost’s email program will also work with most desktop email clients like Thunderbird and Outlook. There are three different clients you can access online: Squirrelmail, Horde and Roundcube. VidaHost also provides their professional spam filtering feature so that you aren’t bombarded with hundreds of emails from spammers. If you want to host a certain script, then scripting support is very important. VidaHost supports most of the popular scripting languages. They support PHP 5.3, MySQL 5, Perl, Python and SSI. You can also directly interact with the MySQL databases to customize them. While the domain limitation is a little annoying, everything else about VidaHost is quite above standard compared to the big players in the United Kingdom web hosting industry. You get a good amount of disk space and bandwidth, and the price is a big selling point if you take advantage of their discounts. If you need reliable UK hosting at a low price, then VidaHost is a great UK web hosting provider to consider.